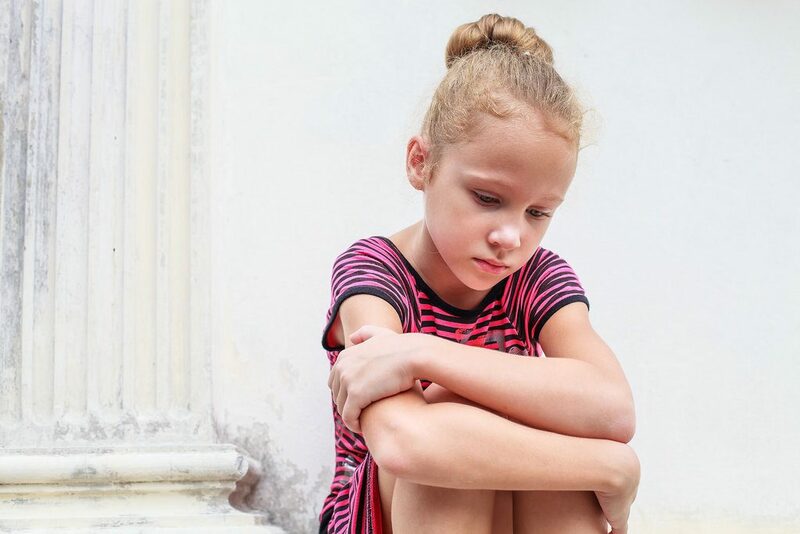 A recent Straits Times article highlighted the dangers of eating disorders becoming more prevalent in young kids as young as eight years old. Wanting to imitate their role model is a natural part of growing up, but it is important to let kids understand their body, the physical changes they will be going through, and to learn to love and accept what they look like. It is never too early to start your child on having a positive body image and laying the foundation for a good self-esteem. A colleague’s daughter was recently hospitalised because of anorexia. She is only eleven. Her ordeal began when her friends teased her for being “chubby”. An attractive and healthy girl with some baby fats, she became very self-conscious. She started skipping meals, exercising very intensively and weighing herself constantly. Her parents realised something was very wrong and she was hospitalised for treatment and was in hospital for over 20 days. The battle for her recovery is not just a physical one, but also a mental and emotional one. The best time to start talking to your kid about a positive body image is from young. Before the media influences them, exercise your influence as a parent and friend. Sit your child down to find out what she thinks she looks like- does she feel that she is too fat or too thin, too short or too tall, and so on. Ask her who she wishes she could look like. Explain to her that many of these people used to dislike the way they looked too. This is normal. Empathise and let her know that you once wished that you looked like a certain someone too, but that over time, you have come to appreciate how you look like. You could show them write-ups of how some celebrities have insecurities with regards to their looks too. For example, Anne Hathaway thinks her eyes are too big. She is an attractive and successful actress but she too has her insecurities. We all do, and the only way to overcome these insecurities is to learn to change the way we see ourselves. You could use a convex or concave mirror and a normal one to explain how sometimes the way we see ourselves is psychological or influenced by what people say about us, but that all of that doesn’t matter. So why do we look the way we do? Explain to her that a lot of it boils down to our genetic make-up. Encourage them that they should be proud of how they look because they are a part of a family and that they should be proud that they look like you, your spouse or their grandparents. There is a sense of identity and someday when they have a child of their own, they will be excited to discover if their child takes after them or their spouse in the looks department. Also explain that people have different body or facial shapes and bone structures, but might weigh the same. Weight does not co-relate with how one’s body structure appears to be like. Explain also that each body structure has its “pros and cons”, and how no one is perfect. For example someone who is very flat chested might wish to have curves because tubes dont’t hold up on a flat chest, whilst someone who is very curvy might wish she was not so curvy because it makes her look bigger than she really is. As we grow, our body shape as well. Some female artistes start off as being very thin, but as they grow and develop, they might start having curves. Show how the curves help them look more womanly and does not necessarily mean that they will look fat. The best way to carry off any body shape is to have confidence and developing a vibrant personality helps. There are people who look really plain but their self-confidence and personality give people the impression that they are really attractive. Do a little exercise with them- cut out the various facial parts and body parts that they admire from different artistes and assemble your own perfect Frankenstein. The result is likely hilarious and you can laugh about how sometimes people look great the way they do. Show them photos of artistes who try to change their looks and end up looking worse or looking like everyone else and losing what is special about themselves. Talk to her about alternative ways to looking better that does not require her to change how she looks like. Eg. A person with a strong jaw line might wish she had a softer one, someone with a softer jaw line might wish she had a stronger one. The key is appreciating whatever jawline you have and learning how to dress up or cut your hair to compliment the face shape you have- you dont’t have to change your face shape, but you can change how your face appears to look like through these methods. Eating healthy and exercising are good habits to form from young because their body is growing and needs more nutrition and building up of muscles. Let them know that leading a healthy lifestyle does not mean going on crash diets or overdoing their exercises. Crash diets only ruin the mechanics of the body and excessive exercising can also injure their joints which can lead to painful operations in future. Doing everything in moderation will help their bodies develop and grow well. Talk to them about how sometimes people criticise or put other people down so that they can feel better about themselves. A person who might make fun of them might actually envy an aspect of who they are or what they have. The best way is to not give value to any hurtful comments people make because what they say do not matter. Hopefully by addressing these various concerns from young, and giving them the information they need to lead a healthy and meaningful life will shape their perspective about their body image in a positive manner.